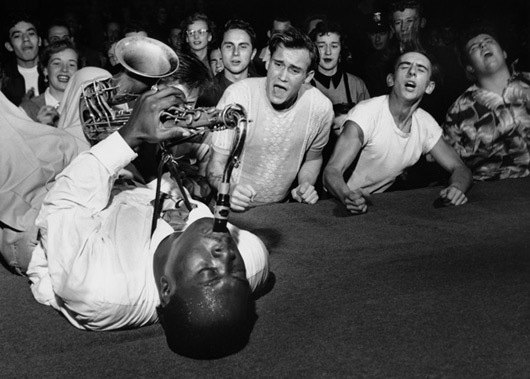 Can you tell me the name of the photographer, sax player and year of the photo below? If you can, I'll ship you a free print at the size of your choosing from Facing Asia and an 8x10 print of the photo you guessed correctly. I've really come to love the photo ever since I saw it on the wall of a record store in Chicago back in 2006. It does a fantastic job at doing so many different things. You get a sense of not only the musician but perhaps more importantly, the fans taking in the music. You don't get any free clues or anything. Go find someone you know who is knowing in the ways of jazz and ask them who the musician is and you should be able to figure it out. Good luck! — Your first & last name. — Year photo was taken.